Which names suit me best? I used Wazowski as a surname because Mikes surname is so identical to it its kinda hysterical. Its the same syllables and ends in the -owski sound haha! However, I've no permission to post his full surname here. So Wazowski it is. Everly's really growing on me, I blame Ash But its cute! I think I can imagine a mini version of myself called Everly. And I'd still get my beloved Evie out of it! My worry: does it sound far too close to Beverly? I don't want the two mixed as I just really dislike the name Beverly (no offense!). I worry its a bit long with the surname, but too bad? 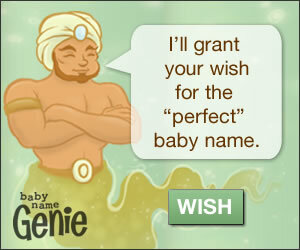 I bet we could even use middle name Jade after his grandmother too, Everly Jade Wazowski? Not too long? Makes me laugh that a definition I saw was "wild boar in a woodland clearing" LOL! Eve is short and simple and we both love it. I don't love the biblical reference but oh well. Not a problem, just a mediocre thing with "fall of mankind" thought too it :') Eve is difficult because of finding middle names. Even though Eve Wazowski flows great, middle names? I had Eve Hadley, but Mike last minute changed his mind on it. He's iffy. Eden is a name he loves from a video game. I'm iffy on it, I love Edie but I'm just unsure. He agreed to Eden Juliet which as a whole I love. Still has the flow issues, Eden Juliet Wazowski? Eh. I'm still looking for more options. Looking for something that feels fresh and new.. But for now, I'd just love opinions on Everly, Eve, and Eden! Thanks!! My favourite is honestly Eve. It's short and simple, no fuss, not as popular and trendy, and it's so elegant and gorgeous. If it waste I'd personally call her Eve all the time, just because I love it so much, but Evie is a cute nn. Eve Hadley doesn't flow well to me, I think softer sounds go better with Eve. I can picture you with an Eve. Does Mike not like Evie as a full name? My step cousin just had a baby girl named Evie, and honestly I like it on it's own just as much as I like Eve. Interests:Marilyn Manson, Five Finger Death Punch, being a creepy cute princess, being a wolf puppy, Harry Potter, Ravenclaw, Supernatural, Dean Winchester, the fall season, Halloween, sparkly things, the moon, the stars... The whole galaxy, the element air, learning of different religions/cultures, especially the more unconventional ones. Eve is my favorite on the list. But don't limit yourself. There are plenty of names that come from Eve: http://www.bestlittl...ve&submit=Find! I love Eve, though I'll always have a soft spot for is since it was my first sisters name and I plan on using it for one of my girls middle names. Everly is nice, though a little off with the surname but the right middle would make it great. Eden is ok, a little to PlaceName/Word for me but nice enough. I love Everly but Channing Tatum just had a baby and named her Everly so I expect it will become popular fast. I like Eve second best. I personally like Eve the best! It's simple without being boring, classic, and oh so pretty. I love the nickname Evie, too. I don't think the whole "fall of mankind" association would be that strong. Everly is pretty, but it seems too long with Mike's surname. And Eden just isn't my personal favorite, though Edie is cute. I was gonna say the same thing! But, I suppose you really can't use that as a rule because there are so many famous people and the chances of someone choosing a name you love are really high. I adore Everly, but I do prefer just Ever. Everly Jade is adorable! const3llati0ns, I do like a lot of forms of Eve, though a lot of them just don't go with the surname. Like Evangeline is just too long! And Evelyn reminds me of work too much to use it. I'm not a huge fan of many other forms, but thank you!! Lauren, thats such a sweet association <3 I think it'd be lovely if you got to use it! If I used Everly, I think I'd go with Everly Jade just because it honors and its nice and short <3 Eden is fairly place namey, and does have biblical associations for the garden and all. Thank everyone and their opinions so much!! They really helped!